Sodium Antimonate powder is used in the Glass Industry as a fining agent or degasser, especially in colour television bulbs and optical glass. Sodium Antimonate Hexahydrate is used for the production of Colloidal Antimony Pentaoxide used as a flame retardant. It is also used for the production of extremely high purity Antimony Metal and subsequently high purity Antimony Trioxide. When used with halogen, usually chlorine, Sodium Antimonate is a fire retardant with very low tinting characteristics. 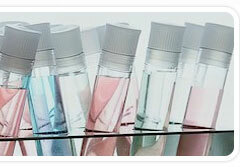 As such it is used in plastics, paints, fibre glass resins and various textile goods. Packed in 25/50 Kilograms multiwall paper bags, 40 bags per pallet. Each pallet is stretch wrapped in polyethylene to prevent shifting of the bags during transit.